Having attended the IoT World 2016 conference a few weeks ago in Santa Clara, CA, I had an opportunity to sit with many industry visionaries, technologists and analysts to discuss the future of the Internet of Things, the market opportunities available, and how endless the possibilities are. 10,000 people from companies focused on all aspects of IoT were highlighting this vision and explaining how each of them would contribute to its realization. The trending topic was definitely Analytics & Big Data - something that will be even bigger when all "things" are connected. Another hot topic was insight into all of this great technology that will make connected things possible. We live in great times! Throughout the conference though, what kept entering my mind was not so much that this reality is not possible, but rather how unprepared OEMs are to actually deliver on this promise of the Internet of Things. If executed poorly, technology companies and OEMs alike have the potential to blow this opportunity and set this market back a few years. During a round table panel with some of these experts, we discussed some of the challenges we face. I brought up the fact that many OEMs actually don’t understand how much potential there is in this new world. In my experience, I've seen that companies tend to be shortsighted in their planning and execution, and fail to take devices or "things" to a complete solution level. Oftentimes, this causes customers to become frustrated with the products they do get and prevents large-scale adoption in the marketplace. Our table talked about the recently introduced connected refrigerator. A favorite talking point of mine and a perfect candidate for this topic. This new ~$6,000 appliance is an amazing piece of work. It is Wi-Fi connected, with a touchscreen LCD, multiple built-in cameras and support for a smartphone. You can even stream music and TV! Trust me, it is really cool. But after you get past the cool add-ons, what is the real value of all of these features and do they really justify the nearly 6k price tag? A few more questions come to mind: How many consumers can really afford this device? Is the Internet of Things only meant for the select few that can afford them? What features does this “super fridge” offer to the OEM? How does the OEM learn to make their next product better by analytics obtained from this device? Just because it is possible, does not mean it is always the right thing to do. Sometimes Less Is More. Real value proposition comes from adding and leveraging connectivity to create services that make the product really “worth it”. For the OEM, that may come through learning how to reduce failures over time by monitoring things like door latches, light switches, electrical systems, and even habits of end users. For consumers, it may be as simple as gathering a shopping list that is automatically transmitted both to their smartphone by way of an app and also to their preferred supermarket. How valuable would this connected refrigerator be for you to be able to walk into your favorite supermarket, scan your loyalty card, and have the Kiosk print out all of the coupons for additional items you may want to purchase before you begin shopping instead of at the end when you are checking out? If supermarkets knew what you needed to buy BEFORE you walk through their door, then this is possible. Today, supermarkets have no clue and only know this info at the point of purchase. So, you as a consumer have two choices: A. get lots of coupons that you leave near the checkout counter for someone else to enjoy, or B. you take them home and they expire. I am sure this is part of the appeal (to supermarkets) since many organizations don’t want you to actually use them, but think of the missed opportunities to improve customer satisfaction. Or even to lower paper waste. How much revenue would those additional purchases bring the supermarket? What if supermarkets offered coffee to go with the cream listed in the electronic shopping list transmitted from the refrigerator? How much cost does that add to the appliance relative to the value it brings? 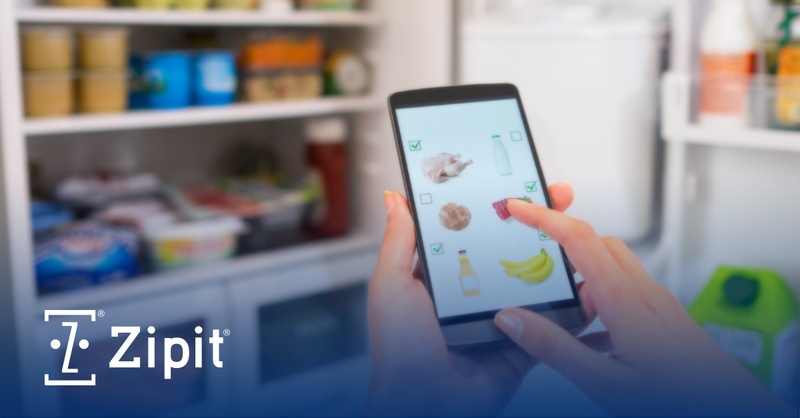 Through our efforts at Zipit, we've seen first hand how the "Internet of Things" can operate as the Internet of Solutions. We take time to understand the challenges OEMs face to then fully integrate IoT connectivity - and leverage it to add meaningful value and solve existing problems in the marketplace. If products are not affordable, are too complicated for the average user, or bells and whistles are added without consideration of their usefulness, it will not matter if they are cool. We will fail as an industry to deliver on the true value of IoT. The promise of a truly connected world will therefore always be relegated to some future reality. Let's do it right, and let's do it now. For additional reading, check out an article from Timothy B. Lee at Vox that provides examples of promising opportunities that fell short because they were designed for the cool factor instead of utility.